Consumer packaged goods represent an established market sector, one that captures the attention of a sizeable majority of the general public and will continue to for some time to come. With a strong foundation and brands that have a high level of recognition among shoppers, the CPG market is an indelible part of the shopping experience. However, with this segment of the economy full of large and established companies, competition is growing fiercer. How can product-makers stand out and generate more sales? Predictive analytics is a major part of the puzzle. 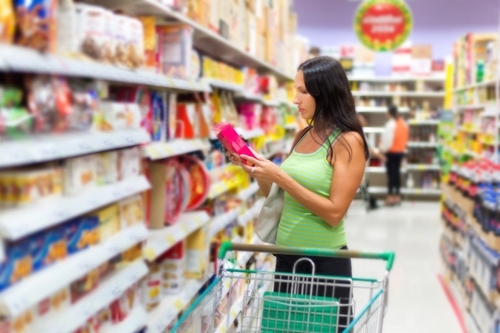 "The CPG market is an indelible part of the shopping experience." The most powerful and effective predictive analytics tools, like the IBM Cognos suite of solutions, help CPG businesses drill down and learn more about customers and how new and existing products appeal to them. The IBM Big Data & Analytics Hub said a trend among CPG manufacturers and other companies is an advance in forecasting, called what-if scenario analysis. This approach moves beyond creating a single picture of potential future opportunities and concerns to create a series of forecasts based on differences in customer interest, regional markets, product variations and much more. The end result is more useful visualizations of the future than can be leveraged in a variety of specific contexts. Using the same relevant data for each scenario analysis – and across all areas of operation – is another consideration CPG businesses have to make. The effectiveness of forecasting is significantly hampered when different data sets are used at various points in the process. This process is common across a number of businesses, but does little except make results less stable and accurate. Ensuring that this thorn in the side of effective analysis is removed and the resulting forecasting is all based off the same data is critical to success, especially when using a what-if forecasting model. Aviana offers our partners plenty of experience and aptitude in terms of predictive analytics, big data and similar advanced techniques that help businesses make operations more effective and efficient. Our past work with businesses in the CPG market means we don't only understand the ins and outs of predictive analytics, but we also have a strong grasp on how they specifically fit into the operations of CPG manufacturers. To learn more, visit our dedicated industry page.